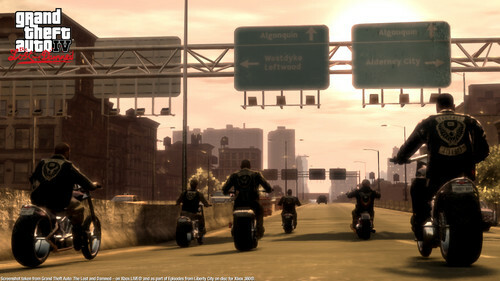 TLAD 4. . HD Wallpaper and background images in the Grand Theft Auto IV The lost And Damned club tagged: photo. This Grand Theft Auto IV The lost And Damned photo contains jalan, pemandangan kota, perkotaan, kota adegan, perkotaan pengaturan, sepeda motor polisi, kecepatan polisi, cop sepeda motor, motor polisi, and polisi kecepatan. There might also be pengendara sepeda motor, kawasan bisnis, pusat kota, distrik bisnis, downtown, dikenali, and brownstone.